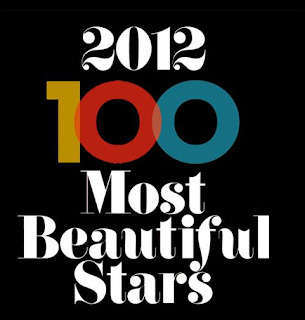 Yes Magazine has revealed its list of '100 Most Beautiful Stars Of 2012' during a star-studded launch of its special issue, which features the celebrities in the list, on Monday. Making it to the number 1 spot this year is actress-host Anne Curtis, putting her in the company of John Lloyd, Judy Ann Santos, KC Concepcion, Marian Rivera, and Kim Chiu, who were named "Most Beautiful" by the magazine during the past editions of its annual list. Anne was previously chosen by the magazine as the "Best Dressed" local celebrity in its March 2012 issue. With Anne on the cover, the magazine's "Most Beautiful Stars 2012" issue is now available in your favorite stands and stores. Here are some of the names of stars not included this year's list: Toni Gonzaga, Albie Casiño, Alex Gonzaga, Bianca Gonzalez, Sharon Cuneta, Lucy Torres-Gomez, Derek Ramsay, Richard Gutierrez, Mark Herras, Megan Young, Gretchen Barretto, Jasmine Curtis, JC de Vera, Zsa Zsa Padilla, Karylle, Kristine Hermosa, and Kris Aquino. Hey, what about Maricel Soriano? yung totoo Kristine Hermosa not included? eh siya nga tong kahit walang make up and any angle maganda siya :))) and megan young too not included? ,bat wala sa list si sam concepcion? Kristine hermosa timeless classic beauty. She's the most beautiful woman in showbiz for me!